Two staff members from Archer Window Cleaning were just about to start their workday in Liverpool at 8am on 21st December 2018 when they heard a woman’s screams coming from nearby. Without a thought for their own safety, they rushed to see what the noise was and found a man attacking a woman who was on her way to work. The two window cleaners stepped in and chased off the attacker, saving the woman from what would have been a serious assault. Police were called, and an investigation is currently underway. For legal reasons, we are unable to name the two heroes or the woman who was attacked, as the Police investigation is still ongoing. All this might have gone unnoticed until the Manager of the shop at which the woman worked wrote to Chris Oakes, Managing Director of Archer Window Cleaning to express her thanks. The unnamed victim has since written to Mr Oakes expressing her appreciation, insisting that she believes things could have ended very differently had it not been for the two heroes intervention. The Police are continuing to investigate this matter. 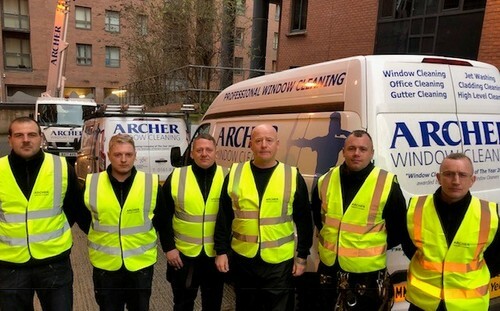 This press release was distributed by ResponseSource Press Release Wire on behalf of Archer Window Cleaning in the following categories: Women's Interest & Beauty, Business & Finance, Construction & Property, for more information visit https://pressreleasewire.responsesource.com/about.